The enter bell rings at 8:30 a.m. and classes begin at 8:35 a.m. Lunch begins at 11:28 a.m.
School resumes at 12:13 p.m.
School ends at 3:05 p.m.
Staff supervise 15 minutes before the school day begins and 15 minutes after the school day ends. If your child needs to stay at school outside of the supervised hours, please register for the before and after school program. Students remain outside in the morning until the bell rings – unless it is an indoor day. Students say farewell to family before entering the classroom. Best time to meet with Ms Boychuk: Please make an appointment to talk with me before or after school. From the time the morning bell rings up until the end of the day, my full attention is with your children! Students from our class enter and exit the school at the boot room entrance between the portables and the kindergarten room. Students arriving after morning and lunch bells must announce themselves to the secretary and come to the classroom with a late slip. Students may use the front entrance of the school to enter if they enter with a parent, enter after the bell or have other exceptional circumstances. We have a large school population and if everyone came through the front doors for morning entry, secretaries would not be able to hear phone conversations. Thank you for using the entrance and exit that best applies to you when entering and exiting the school. Our class has assigned shelves in the boot room between the portables and the kindergarten room. Outdoor shoes must be removed when students enter the school and placed on the proper shelf in the boot room. Indoor shoes are kept on student chairs at recess and at the end of the day. Indoor running shoes must be worn in the gym for phys. ed. Please leave your gym shoes at school. Before school, drop things off (example: backpack) in the boot room and head back out (unless it is an indoor recess). Students must be outside, not in the halls, before the bell. There is no supervision in the hallways before school. Students need to stay on the school grounds at all times. Cell phones, mp3 players/iPads, cameras and other precious belongings are best left at home – they are safest there. If they are at school, they are out of sight – in lockers. We do not want to see or hear them. They are not brought into the classroom unless invited by a teacher as a tool for educational purposes. On class trips, I appoint a photographer so students can focus on the learning tasks at hand. After special events, I share photos as needed. The classroom phone is available for student use with teacher permission. Parents may call the office with messages for their children throughout the day, as needed. We have phys. ed. three times per week (Monday, Tuesday and Thursday). Appropriate clothing and running shoes are expectations. In motion times with me are on all other days which can include everything from outdoor activity to classroom yoga. Students need to dress for physical activity outdoors and indoors everyday. Grade 3/4 students in Ms Boychuk’s class have a locker inside our classroom – with a few outside the classroom. Students in Ms Boychuk’s class do not use locks; please do not decorate lockers. At this grade level, we are working on mastering the multi-step routines that lockers bring. Lunches, jackets and book bags are kept in lockers. 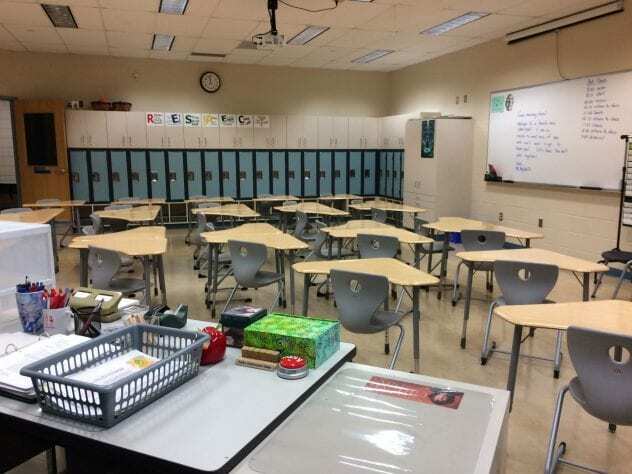 Students open backpacks in the morning, remove all items for the classroom and place them in their place. Backpacks stay in lockers. Students wash their hands in the basins in the classroom before beginning lunch. Milk and chocolate milk can be purchased at school. Pop and energy drinks are not welcome at school. Students should have nut free lunches in consideration of students in our classroom and school who have life threatening nut allergies. Students are expected to eat their own lunch – no exchanging with others. Students who eat lunch at school are expected to stay seated at their designated spot. If talking, they need to use a small voice (“low flow”). Students are expected to respect lunch supervisors and to behave appropriately at all times (even when there is no supervisor in the classroom). After eating, each student must: return lunch container to backpack in locker, wash desk, clean floor, tuck in chair and leave indoor shoes on chair. Sweaters that will not be worn outside are stored in lockers. We recycle clean juice boxes, plastic drink containers and milk containers. Students place empty drink containers on the counter by the sink. Our after lunch helpers will rinse them out and place them in drink recycling. Students who cannot follow these expectations will be asked to make alternate lunch arrangements. I ask that invitations to parties and distribution of gifts to select friends happen outside of school hours. If invitations must be handed out at school, I ask that students please do so when those who are not invited are not around. I understand that students need to make choices about who to invite to parties and at the same time do not want anyone to feel left out because he/she did not receive an invitation or special gift. Thank you for understanding! Please exchange phone numbers with your friends so party and play date planning can happen outside of school. Some years, students create “clubs” on the playground with membership lists, rules, etc. Although well-intended, these clubs usually result in hurt feelings with some students feeling left out. I ask, in advance, that we be a “club free” classroom so all our classroom members can feel as welcome, included and valued as possible. Celebrations are an important part of our time together as a class. Every year there are some students that like to share something with their classmates on birthdays or other special occasions. Sometimes it is everyone and the amount of cupcakes passed around the room increases the sugar intake to a point that I believe is less than healthy. As well, snack sharing can take 30 minutes out of a day’s schedule. If most students bring snacks, snack sharing can take 14 hours out of the school year – which is a significant loss of instructional time. Our class decided how we will celebrate together this year. We will not share treats during the school year and instead, we will use our nutrition unit in health class to plan 2 class potluck lunch celebrations (one in February and one in June). The students with birthdays during the first half of the school year could bring something to share for the February celebration and the students with birthdays in the second half of the year could bring something to share for the June celebration. Dress guidelines help our students function in a comfortable and welcoming work environment. Common practices of modesty, cleanliness, practicality and neatness should guide decisions about proper student attire. Students should choose clothes that will help support a positive learning environment and clothes that are “functional” for all activities in the school setting (ie. art, phys. ed., recess). Underwear or where underwear should be needs to be covered with outer clothing. Shorts and skirt lengths should be longer than the fingertips when arms hang at your side. Leggings are an excellent option to wear under short shorts and short dresses. Shorts and pants need to stay up – some people need belts to help with that. Sleeveless tops should have wide straps. At school, tops with thinner straps are excellent undershirts – not outer shirts. Middles (bellies and backs) should be covered with outerwear. Do not wear clothing that promotes alcohol, drugs, profanity, violence or racism. In summary, most days, we dress for a casual and active office – not the beach. If any concerns about clothing arise, they will be dealt with individually and privately. I believe in giving students the right amount of challenge – not too hard, not too easy but just right. As I get to know students throughout the year, we find out together what that “just right” amount is for every student. It is good practice to set up a homework routine. Students’ homework routine could include a quiet place to work; a talk with a parent or caregiver about the school day; a home time schedule that devotes fifteen minutes to reviewing materials from the day, practicing math facts and reading. Students can develop the habit of unpacking their backpack upon arrival at home and ensuring that it is packed for the next school day before bedtime. Students are expected to prepare at home for Thursday’s weekly spelling test. Read more about our Spelling Routine. Students are expected to practice math facts at home nightly (at least 2 minutes) and have a parent or guardian sign the home practice sheet in the student planner (once we implement planners). Student planners will begin to go home and back daily by mid-late September. During the school day, students write assignments, tests and important school dates in their planners. Students are expected to share their planners with a parent/guardian every day. It is good practice to look at and discuss the planner with your child at home on a daily basis. Important events affecting our class can also be found on the “Upcoming Events!” post. Once we set up our routines and move forward with academics, I recommend that students take math home at least once every week to share with parents what is happening in math class. Students benefit from reading the weekly blog post (week at a peek) with a parent every week. School work that goes home must come back to school the next day. It is the students’ duty to complete class assignments as specified in a good time with best effort. As a rule, if students make effective use of their time during school hours, more homework can, for the most part, be avoided. Work that is not completed in class time becomes more homework. Periodically, I will publish posts that show outstanding student assignments. Students must clear all incomplete assignments before participating in weekly class reward time. On occasion, I ask students to stay after school or over the noon hour to complete work but I prefer to help the student create a plan on how to complete the assignment on their own time. When students make their own plan, they take responsibility for their own learning and grow in independence. I will contact you if I ask your child to stay after school. Homework should not be keeping children up past bedtime. Homework at this grade level is intended to be an enjoyable introduction to a routine. Please contact me with any homework concerns.